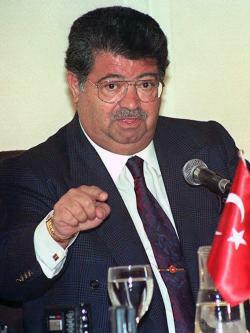 Turgut Ozal autopsy: How do you perform an autopsy a body that’s been dead for 19 years? How do you perform an autopsy on a body that’s been dead for 19 years? Photo from AFP Photo Files/AFP/Getty Images. The body of former Turkish president Turgut Ozal was exhumed for autopsy last month, and Ozal’s son believes the analysis will show that his father was poisoned. Ozal died in 1993. How long can you wait after someone has died before performing an autopsy? As long as the body exists, it can be autopsied. A pathologist can obtain much more information from a freshly deceased body, and hospital-based autopsies are usually performed within 24 hours of a person’s death to minimize the effects of decomposition. But forensic pathologists are often required to perform autopsies on bodies that are weeks, months, years, or even decades old (especially in the case of mass graves), and they are often able to collect evidence that allows them to declare a cause of death. The state of an exhumed corpse depends a great deal on whether it was embalmed (good embalmment can prevent decay for decades after death) and what kinds of conditions it was stored under (heat and humidity hasten decomposition). If a body is well-preserved, a pathologist can examine its organs and other soft tissues to determine certain causes of death. For instance, if someone died of heart disease, a pathologist can examine the heart to find out whether it was damaged or enlarged. Certain postmortem changes can make false positives likely—for instance, the decomposition of red blood cells after death can make a person’s blood sugar seem much higher than it actually was—but a good pathologist will know to look out for these red herrings. Other postmortem changes, such as adipocere, the decomposition of fat, can preserve the appearance of a body’s soft tissues for years but interfere with an autopsy because it makes the tissue crumbly and chalky. If a body’s soft tissues are partially or fully decomposed, pathologists can still examine the bones, hair, teeth, and nails to find answers. Metabolites in a person’s teeth can give a good picture of what his or her overall health was like. In the case of traumatic injury—if, for instance, a person was bludgeoned in the head—a pathologist can discover that during an autopsy even if a body is skeletonized. Traces of poison—like strychnine, for instance, the agent Ozal’s son claims killed his father—can remain in keratin. Pathologists can examine body parts in cross section under a microscope or chemically analyze them for traces of substances. Pathologists have to know what they’re looking for, though. Forensic pathologists typically receive a report on a deceased person’s personal and medical history before performing an autopsy so they’ll know which potential causes of death to search for. It’s important to know whether, for instance, a person was a drug addict, because an addict might be able to tolerate doses of a drug that would easily kill a non-addict. Pathologists also take bias into account when embarking on an autopsy, since grieving relatives sometimes suspect foul play even when the cause of death was suicide or natural causes. Ozul is not the first famous figure—or even the first president—to be exhumed for an autopsy decades after his death. The body of civil rights activist Medgar Evers, who was assassinated in 1963, was exhumed during the much-delayed murder trial of Byron De La Beckwith in 1994. And U.S. President Zachary Taylor’s corpse was disinterred in 1991—141 years after his death—to determine whether he had died from arsenic poisoning. No evidence of poisoning was found, and the coroner in charge of the autopsy concluded that Taylor had died of gastroenteritis. Explainer thanks Gregory J. Davis of University of Kentucky College of Medicine and Mario Mosunjac of Emory University School of Medicine.